TIME FLIES – I wish I was witty enough to start off this blog post in a less cliched manner. But, seriously, WOW! It has been about two and a half years since I started teaching yoga! In this short amount of time, I have quickly found myself growing and discovering what speaks to me. In my earlier days as a newly minted yoga teacher, I vividly remember the nervousness, the strong desire to please, and the insecurities I felt. Some of those thoughts and doubts still remain, but I have slowly begun to replace some of my earlier teaching habits with a strong desire to learn, and more self-assurance. I wanted to pause and reflect on how I have changed and would like to share that with you. In the beginning, my yoga sequences that I would come up with were based off of what I had experienced before with other teachers. A typical standing series of mine would be something like..warrior 1 to warrior 2 to triangle to side angle and then transition back to downward dog to repeat the asanas on the other side. But, now I wonder..WHY? Why are a series of standing poses linked a certain way? In a similar vein, other questions pop up in my mind: Is it good to have forward folds after an intense backbend? How does one properly warm up the right muscle groups before attempting a certain pose? Why is the sun salutation sequenced the way it is? Are heart-opening asanas OK for people with shoulder injuries? Why does the front heel to back foot mid-arch alignment matter in Virabhadrasana 2? All the self-inquiry has brought on big benefits for my practice, and my students. The more exploration, and investigation I do, the better I am able to create effective and safe sequences that properly warm up and cool down the body. For those of you who are interested, I have listed some of the books and websites I go to when I’m in research mode. Ray Long Books : Quite technical and very anatomy-based but really good information nonetheless! Be Yogi : Good information for teachers on how to break down each pose (i.e specific cue-ing material). If you have any other suggestions / ideas – please do share! Ideally, I would like to get myself and my students to a state of mind where we don’t need any music to tune out the chatter and fully tune in to just the practice. But, in the meantime, I think I have made some strides in the right direction. During my time in India, we practiced yoga with no music and it was glorious. Every morning, when we started class at 6 am there were noises of the family next door starting their day. There was the babble of morning news from a radio, sounds of coffee pots whistling and breakfast being prepared. But, none of that impeded me and fellow yogis’ ability to go inward. The asanas, our teachers’ adjustments, and breathing methods were so consuming that our minds didn’t care about the lack of mood-setting music. It is possible to find quietness, peace and calm within you. We felt rejuvenated and relaxed in the yoga space as life went on outside it. So moral of the story? Music is and should be low on the priority list for yoga teachers. What is important? The ASANA playlist. As instructors, the flow of asanas, the emphasis on breathing techniques, and the overall attitude, energy, and knowledge we bring to our students matter more than any MC Yogi beat. Many of us may not be aware, but the whole purpose of all the yoga asanas is to purify, strengthen, lengthen and ready the body to be able to SIT in meditation for hours. Well…we may not all have that kind of time these days, but there is so much great discussion on meditation and the benefits of it, even if it is done only for a few minutes a day. I am happy to provide those handful of quiet moments of introspection for my students in hopes that they explore the idea of establishing a meditation habit off the mat. So at the end of every class I teach, before Savasana, we allot time for a mindfulness / meditation exercise: simply breathe for 25 breath cycles while seated in a comfortable pose. This may mean that sometimes, we have to cut short our asana practice, but I I think that’s perfectly OK. Time spent in silence, and self-reflection will do so much more for my students in the long run. There are different philosophies on giving yoga adjustments and assists. Some teachers prefer to simply give verbal cues and let their students come into the postures on their own. It brings about movement that is pure and not forced. Others steer their students with a more physical touch. I personally have found that the latter has helped me grow the most in my yoga practice, especially after attending classes in India. I do like to give firm, yet reassuring modifications (Unless of course, a student’s body language reads as not wanting any). I Coming off of a 230-hour yoga teacher training course, I have knowledge on the basic anatomical alignment of multiple poses, but actually touching someone used to make me apprehensive. What if they don’t like it? Am I give the student what he/she needs in this pose? Is it helping them? Is this actually the side rib that I’m touching? How do I advance my students’ practice in an intelligent way the way teacher in India did for me?? There really isn’t a shortcut on how to get better at this. Time, practicing on my own, experience gained from being adjusted myself, tons of reading, and using my friends and family as guinea pigs, and attending adjustment workshops have helped me become a lot more confident in my abilities. I still have a long way to go. But, the goal is to continue to learn, improve, and strive in order to aid, support, and reassure my students. Fortunately, it’s more common knowledge now, but yoga is way more than simply achieving perfect postures. The purpose of yoga is actually quite complex, but one of the goals is to create harmony between the body and the mind. In the beginning of class, I have my students check in for a few minutes. We sit in calmness, breathe mindfully, and listen to the chatter in the brain. Following this mini meditation, I call on them to think of an intention that helps their current state of mind. With gentle reminders and verbal cues throughout class, I work to infuse their entire asana practice with their chosen word or phrase. 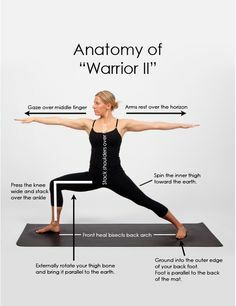 When we are feeling the burn in our quads and shoulders in Warrior 2, or teetering on one leg in Warrior 3, I ask my students to breathe and think of their intention. Bridges are connectors, taking us from one side to the next. Ergo in Bridge pose, I request them to conjoin the intellectual and the body. And so on and so forth we keep going..working to quiet the needless chatter in the mind, and merge our physical and mental states. I’m thrilled to report that the consistent reminder to bring the attention back to the mental goal has been received really well by my students! It has been an interesting, but fulfilling adventure thus far, filled with humbling, gratifying, and real moments of advancement in my teaching. The longer I teach, the more I realize I have yet to learn, but am truly happy to keep going. I apologize that I’ve been away for so long without a post, but life was completely overwhelming me. But, I’m back!